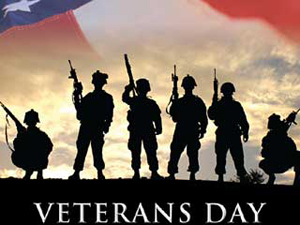 UT Arlington veterans will be honored on campus today, Tuesday, Nov. 11, for Veterans Day. The event began at 7 a.m. in the courtyard of College Hall with a wreath-laying ceremony and acknowledgements of veteran graduates. A breakfast for UTA veterans started at 8 a.m. in the E.H. Hereford University Center. A resource fair scheduled for 10 a.m.-1 p.m. in the Palo Duro Lounge offers information on programs and resources for veterans and their families. Enjoy music, food, and activities 5-7 p.m. on the Library mall, hosted by the Student Veterans Organization. Pick up an "I Love UTA Veterans" or "UTA Veteran" button at the opening ceremony, breakfast, or resource fair. Donate a pair of socks for the "Socks for Service" project, which benefits homeless veterans. Drop-off boxes are in front of College Hall, the Veterans Assistance Center, and the Central Library and in the Palo Duro Lounge. The Veterans Day activities are sponsored by the Office of the President, Department of Military Science, Student Veterans Organization, and the Veterans Connection Committee. For details on resources for student veterans, go to the Veteran Services website. Anne Healy, assistant professor of theatre arts, discusses the new Bachelor of Fine Arts program in musical theatre for the Focus on Faculty speakers series. "Musical Theatre: The Fabric of Our Lives" is free at noon Wednesday, Nov. 12, in the sixth floor parlor of the Central Library. Theatre arts students created a musical theatre show from scratch on Sept. 13 and performed it Sept. 14. "The Musical Theatre Project 2014" included students from the musical theatre, theatre technology, and music composition programs with members of the theatrical rock band The Kilbanes. A video excerpt and brief live performance are planned. 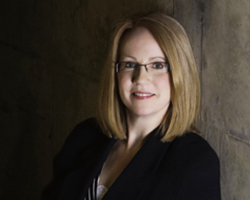 Dr. Healy, a professional actress and musical theatre performer, teaches directing, acting, and singing and dancing for the actor. UT Arlington Libraries sponsors Focus on Faculty. It's almost Homecoming time in Maverick Country. Join the fun Monday-Saturday, Nov. 17-22. 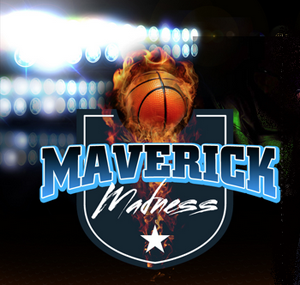 You'll find a week of fun activities, heart-pounding sports action, and unbridled enthusiasm for all things Maverick. Show your Maverick spirit by decorating your vehicle, sampling a bowl or two at the chili cookoff, and voting in the Downtown Homecoming Challenge. Friday features a step show, the Distinguished Alumni Awards, and The Bash, an enormous dance party featuring DJs, state-of-the-art sound, huge light and laser shows, elaborate visual setups, and a wide array of live performers and other surprises. Tickets to The Bash are $6 for students, faculty, and staff, and $12 for others. Saturday is filled with reunions, open houses, a golf tournament, and a 5K run/walk. A street festival starts the afternoon fun, with the Party on the Plaza, Homecoming Parade, and a pep rally in front of College Park Center, where the men's basketball team plays Houston Baptist at 7:30 p.m.
Sign up now for your spot in the Homecoming 2014 activities. 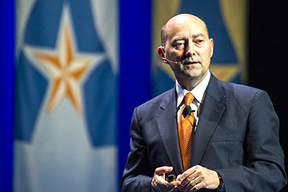 Achieving cyber security is a constant challenge, retired Navy Adm. James Stavridis told the audience at Tuesday's Maverick Speakers Series lecture at Texas Hall. Watch the video. UT Arlington has updated rules concerning travel to countries affected by Ebola Virus Disease that also includes new faculty, staff, and students from those regions. Faculty and staff members traveling from affected regions should not come directly to campus following their arrival in the U.S. Faculty and staff members should go to their residence or other place designated by health officials, notify their supervisor, and arrange for a copy of the federal quarantine guidance to be delivered to their supervisor. As long as faculty and staff members are healthy and exhibiting no Ebola-related symptoms, they will be expected to complete work-related duties and will receive their regular pay. Faculty and staff members who become ill should follow University sick leave policies. Students traveling from affected regions should not come directly to campus. Students should call the Health Services Center at 817-272-2771 to obtain specific information about where to check in and how to receive support. Read more about UTA's travel policy. The College of Nursing will now be called the College of Nursing and Health Innovation. The UT System Board of Regents approved the change last week. The new name reflects the addition of the Department of Kinesiology to the college. The College of Education and Health Professions will now be called the College of Education. The UTA McNair Scholars Program has extended its application period through Nov. 17. Junior and senior students are encouraged to apply for the program that helps eligible undergraduates prepare for the Ph.D. and careers in university research and teaching. Applications are available in 202 Ransom Hall and online. For more details, email mcnair@uta.edu or call 817-272-3715. Upcoming sessions are Thursday, Nov. 13; Saturday, Dec. 6; Wednesday, Dec. 10; Monday, Jan. 12; and Wednesday, Jan. 14. 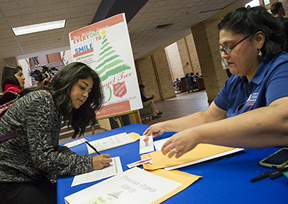 Kimberly Martinez, Spanish senior, fills out a form for the Salvation Army Angel Tree with some directions from Loretta Pequeno-Griffin, associate director of the Leadership Center. Adopt an "angel" and learn how you can help families in need during the holidays at the Leadership Center office in Suite B160 in the E.H. Hereford University Center. The TRIO-Student Support Services and University Tutorial and Supplemental Instruction offices are looking for motivated students to become peer educators for the spring semester. Peer educators are students who are successful in their courses and have completed at least one semester of coursework at UT Arlington. Applicants must have a 3.0+ GPA and have earned an A or B in the course for which they are applying. Students also should have great communication skills, excellent leadership qualities, and a positive attitude. Available positions for peer educators include one-on-one tutors, small group tutors/mentors, and Supplemental Instruction leaders. For details, visit uta.edu/tutoringjobs. Application deadline is Friday, Nov. 28. Sign up for the Homecoming 5K, which takes off at 10 a.m. Saturday, Nov. 22, from the Maverick Activities Center for a scenic route through the UT Arlington campus. Online registration is accepted through Thursday, Nov. 20, at uta.edu/homecoming or at runsignup.com. Proceeds from the race benefit the Center for Students in Recovery. Music Honors Recital Performances by music faculty members and outstanding students in solo and chamber music settings. Free. 7:30 p.m., Irons Recital Hall, Fine Arts Building. Music. Cultural Extravaganza Enjoy a Chinese lion dance, a Bharata Natyam performance, games, calligraphy, henna booths, and prizes. Free. 6:30-9 p.m., Bluebonnet Ballroom, E.H. Hereford University Center. Multicultural Affairs, Asian Heritage Month. UTA Symphony Concert Concert featuring student Concerto Competition winners. Tickets $9 adults, $6 youth/students, $6 seniors. 7:30 p.m., Irons Recital Hall, Fine Arts Building. Music. Women's Basketball Mavericks vs. Missouri Valley College. Tickets $3 with student ID. 5 p.m., College Park Center. Athletics. International Games Day Celebrate the popularity and educational, recreational, and social value of video and board games. Game stations available. Free. 1-4 p.m., first floor, Central Library. UT Arlington Libraries. Holiday Extravaganza Attend the annual family-oriented holiday celebration with arts and crafts representing a variety of winter holidays, cookie decorating, and pictures with Santa. Free. 11 a.m.-1 p.m., Palo Duro Lounge, E.H. Hereford University Center. Freshmen Leaders on Campus. Documentary: 'Endless Abilities' From rehabilitation patients to Paralympic athletes, see how sports are the great equalizer, unifying people of all abilities on a level playing field. A discussion with local Paralympians and international and national team members. The film is subtitled and the discussion is real-time captioned. For disability-related accommodation, contact Sarah Rose at srose@uta.edu or 817-272-2861. Part of the Jim Hayes Memorial Junior Wheelchair Basketball Tournament. Free. 6:30 p.m., Lone Star Auditorium, Maverick Activities Center. Movin' Mavs Adapted Sports and Recreation, Disability Studies Minor, Office for Students with Disabilities. UT Arlington Wind Symphony Concert The UT Arlington Wind Symphony, Douglas Stotter conductor, presents a concert in celebration of the music of guest composer William Bolcom. National Medal of Arts, Pulitzer Prize, and Grammy Award-winner Bolcom will be in residence at UTA for the week leading up to the concert. Also performing is the SMU Meadows Wind Ensemble, Jack Delaney conductor. Tickets $9 adults; $5 students, seniors. 7:30 p.m., Irons Recital Hall, Fine Arts Building. Music. Volleyball Mavericks vs. Georgia State. Tickets $3 with student ID. Noon, College Park Center. Athletics. UT Arlington Symphonic Winds and Symphonic Band Concert The UT Arlington Symphonic Winds and Symphonic Band, John Zastoupil conductor, present their final concert of the semester. Free. 3 p.m., Irons Recital Hall, Fine Arts Building. Music. Women's Basketball Mavericks vs. Houston Baptist. Tickets $3 with student ID. 3 p.m., College Park Center. Athletics. 'A Streetcar Named Desire' The Maverick Theatre Company presents a Tennessee Williams classic. Tickets $7 faculty, staff, students, seniors; $10 public. Box office 817-272-2669. 8 p.m. Wednesday-Saturday, Nov. 19-22, and 2:30 p.m. Sunday, Nov. 23, Mainstage Theatre. Theatre Arts. Planetarium The fall schedule includes Astronaut; One World, One Sky: Big Bird's Adventure; Pink Floyd; Spacepark 360 Infinity; Two Small Pieces of Glass; and We Are Astronomers. Planetarium. Safe Ally Training Register online. Free. 1-4 p.m., Blanco Room, E.H. Hereford University Center. LGBTQA Program. Change the Name: R-word Panel Discussion Yolonda Bluehorse and Peggy Larney discuss the derogatory significance of the NFL's Washington team name. Bluehorse organized a protest at a recent Dallas-Washington game in Arlington. Larney lobbies to have American Indian Heritage Day recognized as a holiday in Texas. Free. 7-8:30 p.m., Room 108, University Hall. Native American Student Organization. EMBA Info Session Experience a class session with current EMBA students and network with the class members, faculty, and EMBA alumni. Register online. Free. 5 p.m., The Fort Worth Club, 306 W. 7th St., Fort Worth. Fort Worth Center. Management Lecture Series Daniel Armanios of Stanford University presents “Is Policy Enough? Understanding the Government Sector in the Midst of Reform.” Free. 2 p.m. Tuesday, Nov. 25, Room 609, Business Building. Business, Management. The men’s and women’s basketball teams begin play this week with various ticket options. For the women, College Park Center hosts the team's first action against Missouri Valley College at 5 p.m. Friday, Nov. 14, and a 3 p.m. game Sunday, Nov. 16, against Houston Baptist. The men open the season on the road at Bradley in Peoria, Ill., with tipoff at 7 p.m. Friday, Nov. 14. The team returns home to face Buffalo at 7 p.m. Tuesday, Nov. 18, at College Park Center. See the men's schedule and women's schedule for other Maverick basketball dates. Students can see all the action with the All-Sports Pass for $25, available through MyMav. Individual student tickets are $3 each. See more ticket options and purchase online at utatickets.com. Can't make it to the game? Watch online via College Sports Live. The volleyball team won a four-set match over South Alabama on Sunday at College Park Center. The win puts the Mavericks at 22-7 this season and 12-5 in the Sun Belt Conference. The team travels to Louisiana-Lafayette for a game at 7 p.m. Friday, Nov. 14. The Sun Belt Conference champion women's cross country team and the men's cross country team compete at the NCAA South Central Regional in Fayetteville, Ark., on Friday, Nov. 14. The men and women's tennis teams wrapped up their fall seasons, bringing home five titles. The women won four of five titles at the Wild West Shootout at UNT, while the men captured a singles title from the FGCU Fall Invitational in Fort Meyers, Fla. The men’s baseball team wrapped up fall practice Friday with the Fall World Series at Clay Gould Ballpark. The team opens the 2015 season Feb. 13 in the Stephen F. Austin Tournament in Nacogdoches. Upcoming entry deadlines for intramural sports include poker, Monday, Nov. 17; innertube water polo, Sunday, Nov. 23; MavStrong, Wednesday, Dec. 3; and CollegeFB Bowl Pick 'Em, Saturday, Dec. 13.